You deserve better than a payday loan. Alabama is a state that exudes Southern charm and has a rich history of music and literature. It’s where many come to enjoy all different types of soul and southern BBQ and experience a land of history, culture, and scenery. But many of the 4,841,164 folks living here experience financial difficulties on a daily basis that can steer them in the wrong direction. About 18.4% of Alabama residents live in poverty, and unemployment rate in the state (as of March 2018) was 3.5%. People in Alabama experiencing these challenges might look to payday or title loans to help them out, but we urge them to consider other options. Average Credit Card Debt and Median Household Income in Alabama vs. the U.S.
Payday loans are a kind of risky, short-term loan that is typically offered to people who have nowhere else to turn. Because payday lenders don’t require a credit check, people with bad credit who can’t access more traditional lines of financing may be forced to take out a payday loan when faced with a financial emergency. 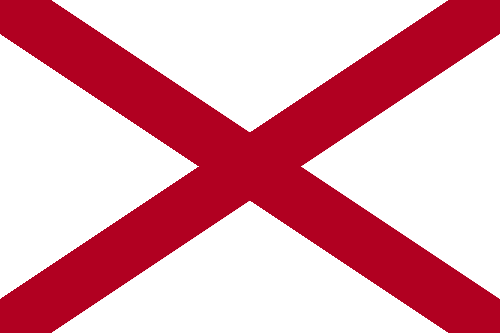 There are currently 1,070 payday lenders in Alabama. In 2015, Alabama residents took out more than two million payday loans, with an average of eight loans per borrower. The average loan amount was $322, and the average borrower paid a fee of $56 per loan. Payday loans, both in-store or online, are legal in the state of Alabama per the Alabama Small Loan Act (Ala. Code Sec. 5-18-1). In 1994, Alabama was among 19 states involved in a legislative push to regulate payday loans and lenders. The result of these efforts was the determination by the Alabama Attorney General’s office that payday loans be covered by the Alabama Small Loan Act, the Mini-Code, and subject to Truth-in-Lending Disclosure requirements. The intent of the 1994 Attorney General’s opinion was to help consumers by setting s cap for interest rates on payday loans. However, it wasn’t until 1998 that the Alabama State Banking Department issued cease and desist orders to lenders who were caught violating the interest rate cap. Unfortunately, extensive lobbying by payday lenders in 2002 resulted in the modification of the Small Loan Act, and as a result, the allowable APR rate on payday loans in Alabama was pushed up to 190%. In 2003, consumer protection was further eroded, and the Deferred Presentment Services Act was passed, which allowed payday lenders in Alabama to charge up to 456.25% APR. There are also certain collection restrictions that payday lenders in Alabama must follow if the borrower’s repayment bounces or if they fail to repay their loan in full. Lenders can collect a maximum fee of $30 for non-sufficient funds. While you cannot be sent to jail for the non-payment of payday loan debts, in rare instances criminal proceedings against borrowers can be initiated by lenders if a check or repayment is returned due to a closed bank account. Payday loans are harmful to Alabamians. With the nation’s third highest poverty rate and a lax regulatory environment, Alabama is a prime location for predatory lending. By advertising their services as “easy money” and “no credit check loans,” payday lenders in Alabama prey on low-income residents who need financial help. In 2013, payday lenders sued the Alabama State Banking Department in order to block the creation of a database system that was designed to prevent lenders from over-lending to borrowers who can’t afford to pay back their loans. The database’s purpose was to ensure borrowers only had one loan out at a time and were not in danger of falling into an endless debt spiral. In 2015, the Alabama Supreme Court ruled that the Alabama State Banking Department had the power to establish a payday loan database to enforce the state’s $500 lending limit, a victory for advocates seeking restrictions on payday loans in Alabama. The database went live in August 2015, and while it has curbed predatory lending practices from storefront lenders in Alabama, it’s done little to slow down the business of online payday lenders, which have found ways to circumvent the database and offer multiple loans at the same time to individual borrowers. These regulations are a step in the right direction toward protecting consumers, but they don’t put an end to the 456.25% interest rates that payday lenders are legally allowed to charge Alabama residents. Alabama payday loans can be taken out for a period of 10 to 31 days with finance charges and fees not exceeding 17.5% for every $100 borrowed. Borrowers are allowed to take out one payday loan at a time, and if they are unable to repay in due time, one rollover is allowed. A rollover occurs when a borrower takes out another loan in order to cover the cost of their existing loan. After one rollover, the lender cannot charge any additional fees or interest. A cooling-off period, which is a mandatory amount of time during which you are not able to take out a loan, is required in Alabama after the repayment of two continuous loans. Alabama payday borrowers must wait one business day before taking out another loan. Title loans are similar to payday loans in that they offer short-term, high interest loans to people with subprime credit. However, title loans are often much more dangerous than payday loans, as they offer significantly more money at a much higher risk. Instead of using their next paycheck as collateral, title loan borrowers use their vehicles as collateral for the loan. If they can’t pay the loan back on time, the lender can repossess their car. Alabama has the largest number of vehicle-title-loans per capita, with one store for every 5,427 people. With 672 title loan companies currently operating in Alabama, there’s a lot of money to be made in the business. To make matters worse for consumers, Alabama and Georgia are the only states in the nation which allow a lender to keep the entire proceeds from the resale of a repossessed vehicle after a loan defaults. Over the years, title loans in Alabama have kept the Alabama Supreme Court busy. In 1993, the Alabama Supreme Court classified title lenders as pawnbrokers, which means they are covered by the Pawn Shop Act. Under the Pawn Shop Act, if a title lender does not receive payment after 30 days from the signing of the original contract, there is another 30-day redemption period. The consumer can either pay another fee to roll over the loan, or take the car and sell it. Otherwise, the borrower’s vehicle legally becomes the lender’s property. Title lenders in Alabama can charge a maximum of 25% of the amount of the loan per month in interest. As most Alabama title loans are for more than $1,000, many borrowers cannot pay off the loan and ultimately lose their vehicles. In 2006, Alabama Circuit Court Judge Charles Robinson Sr. ruled that parts of the Pawn Shop Act were unconstitutional. However, the decision was reversed because the plaintiff did not have standing to bring the equal protection issue. Therefore, the law was allowed to stand, and Alabama title loan companies are still allowed to charge up to 300% in interest. With APR rates as high as 300%, an Alabama resident who takes out a title loan for $500 could end up paying a whopping $1,500 in interest alone before the loan term is up. With costs like this, it’s no wonder that one in six Alabama borrowers end up having their vehicles seized by their lenders. Alabama places very few restrictions on title lending businesses, which allows predatory lending practices to flourish in the industry. Under the Pawn Shop Act, all title lenders must pay an annual fee to the state of Alabama for licensing, and are required to provide full disclosure of the terms of the title loan—false advertising is prohibited. If a title lender violates these rules, they will receive a fine of up to $1,000 per title loan entry. Like payday loans, title loans are designed to trap borrowers in a cycle of debt. There is no maximum amount for title loans in Alabama, which means that borrowers can be immediately sucked into the endless debt. For a $3,000 title loan at 300% APR, borrowers could be paying $750 per month just in interest ($9,000 in total), which could prevent them from paying off the loan on time. No matter how bad your credit is, no matter how desperate you are, payday and title loans are not a good idea. If you have any other options for getting access to money in an emergency, use those before turning to these kinds of risky loans. If you’ve already taken out a payday or title loan in Alabama and have been victimized by predatory lending practices, help is available. Most regulators will first ask you to attempt to resolve your issue with the lender directly before filing. Document everything (we mean it). The more evidence you have against your lender, the better! If you don’t think a piece of information is important, still write it down (odds are that it is important). Payday lending is legal in Alabama, but certain acts can still be reported and filed. Your representative will know how to help. If you’ve been working with an online payday lender, file a complaint with a federal regulator or with the Better Business Bureau. Contact the State of Alabama Banking Department (@alabamagov) by visiting the consumer affairs section of their website and select File a Complaint. This will allow you to access their official complaint form. Aside from the State of Alabama Banking Department, you can find help and guidance with the non-profit organization Alabama Appleseed. Their Predatory Lending Project strives to help reform Alabama’s predatory consumer lending practices. Contact Alabama Appleseed via email here or by phone at (334) 263-0086 for more information on predatory lending. Gateway Financial Freedom (GFF) also offers counseling on payday and title loans. As Alabama’s most reliable and affordable financial counseling program, Gateway Financial Freedom strives to help people get out of debt, avoid bankruptcy, and learn how to properly manage their money. They can be contacted by email at help@gway.org or by phone at (205) 510-2600 and are located at 1401 20th Street South; Birmingham, AL 35205. The payday loan industry isn’t making things easy on lawmakers in Alabama. With every court case against predatory lending, payday and title lenders continue to fight back, and they won’t disappear without a fight. To help Alabama continue its battle against predatory lending and to better protect consumers against the vicious cycle of debt, reach out. By understanding warning signs, Alabama laws, and where to report a lender or seek outside help against payday and title loans, you can help set new laws and legislation in place. It won’t happen overnight, but it’s a fight worth fighting for Alabama residents. You know payday and title loans in Alabama are a problem. But what about at the city level?